Winner of the 2013 Scotiabank Giller Prize. Shortlisted for the Rogers Writers' Trust Fiction Prize. Selected as an Amazon.ca Best Book and for The Globe's Top 10 Books of 2013. 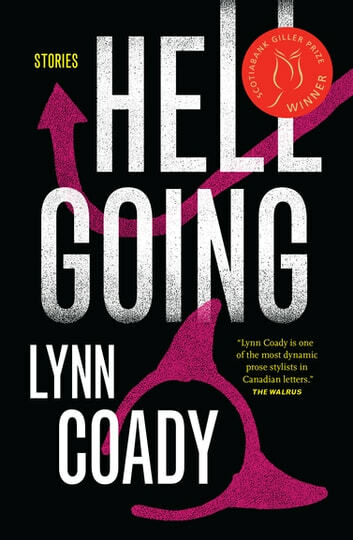 With astonishing range and depth, Scotiabank Giller Prize finalist Lynn Coady gives us nine unforgettable new stories, each one of them grabbing our attention from the first line and resonating long after the last. Very confusing since the beginning... I could not finish to read the first chapter. I might go back some other time. Right now I need something else. Too much thinking involved....each short story always ended in that nasty "why" question. 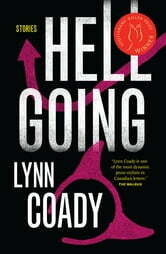 "Hellgoing" by Lynn Coady it's a collection of short stories and even though this book won the 2013 Scotiabank Giller Prize it just wasn't what I was expecting. I was hoping for an enjoyable read; however, I just couldn't connect with any of these stories. By the time I was getting into a story, it ended, which made me say "what? And left me with many questions. I like stories with a beginning, an end, a plot to link them and characters that I can relate to and understand. These stories, to me, seem like fragments of a story. I have to rate it ** and give credit to the author for portraying conflicts between compassion and self-protection in characters that perhaps will resonate with hidden aspects of ourselves. Also interweaving the present despair with reimagined perceptions of past events, and those moments of stolen innocence that haunt us through life. The concept in these stories is there and I got it. I was just expecting a better ending in all of them. Sorry. I didn't get any of the story lines. I feel that the synopsis of this book was very misleading. I was expecting a disturbing, dark read - something I'm very much into. However, each story was short, frustrating, and unfinished. There was no singular story that stood out for me; they all felt rushed and uninteresting. The entire collection felt self-absorbed and overly pleased with itself. I'm annoyed that I spent money on this.